JASS (Joint Advanced Student School) is an annual Russian-German initiative to teach about emerging technologies using project-driven software development. The school is a place where students and professors from different countries gather for short-term, project-oriented, project-driven education in international teams. In five days, each team of students creates and delivers a finished project. The topics typically studied include mobile devices, the Internet of Things, industrial applications, autonomous mobile robotics and transportation, and virtual reality. The new era of industrial software relies on two essential points: first, an interconnection between machines, devices, sensors, and people; second, information transparency which provides people with vast amounts of useful information needed to make appropriate decisions. Total device-human-software interconnectivity and interoperability allow us to collect immense amounts of data and information from all points in the manufacturing process, thus aiding people in understanding big comprehensive systems; the ability of assistance systems to support humans by aggregating and visualizing information comprehensively for making informed decisions and solving urgent problems on short notice. Virtual and augmented reality provides an ability to look inside the technical systems. During the school, students will work to create smart industrial software using a wide spectrum of devices (iOS/Android smartphones and tablets, MS Hololens, and more) and technologies. A set of technical lectures and hands-on training will be provided by JetBrains, Microsoft, and Zeiss. Project-driven project-based education is much more effective in Software Engineering and other technical areas than 'classic' (lectures + labs) methods; renewal of the full classic courses could be totally outdated due to a very fast technology upgrade in IT. Professionalism in software engineering is not only dependent on design, coding, and math skills, but also on communication, collaboration, and other similar soft skills. Working on real projects is much more motivating than synthetic tasks. Students who have experience working in an international team are much more prepared to work in software companies around the world. The school's mission is to create a place for students and professors from different countries to practice short-term, project-oriented, project-driven education in joint international teams. Guest lectures and/or master classes on selected technologies. Lectures/classes are provided by Russian and German professors/professionals. The main goal of each lecture is to give a good overview of the technologies; to help students to get a bigger picture of the particular domain, and to acquire a holistic comprehension of the problems, solutions, and challenges that exist. Work on projects in joint international student teams. To aid with project-driven education. Students will work within joint international teams (6 students per team) in order to develop small projects and apply their new domain knowledge to a particular project. Each project is developed by the teams under supervised guidance. Participants should be either undergraduate or graduate students with strong software engineering and development skills. They should also have an interest in new technologies, mobile devices, and the Internet of Things. 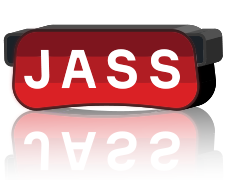 Participation in JASS is free. All travel and accommodation costs are covered by the organizers. It is mandatory to have a valid passport and Schengen visa.